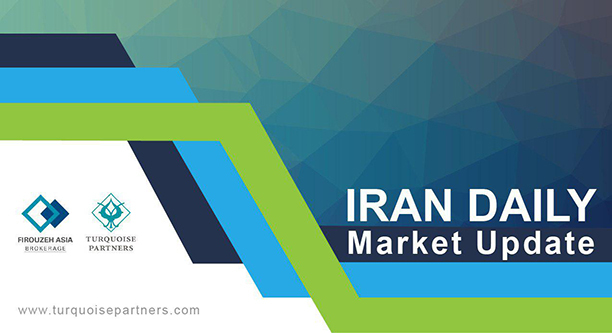 The Tehran Stock Exchange All-Share Index finished the day up 0.90% at 164,470. 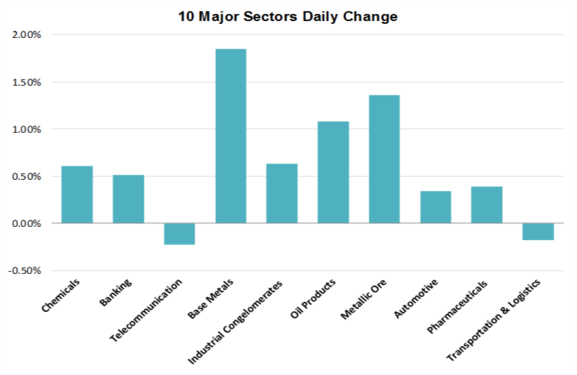 Utility Service Providers (+3.95%) saw the highest increase among sectors, while the biggest faller of the day was Agriculture (-2.48%). Banking (+0.51%) was the market volume leader with trades totaling IRR 767 billion (approx. USD 18 million). National Iranian Copper Ind. Co. (MSMI +3.57%) Esfahan Mobarakeh Steel Co. (FOLD +1.94%) and Mobin Petrochemical Co. (MOBN +4.80%) were the main movers of the All-Share Index. Mellat Bank (BMLT +0.04%) was the most traded stock with IRR 276 billion (approx. USD 6 million) of shares exchanged. The total traded value of the market reached IRR 6,193 billion (approx. USD 147 million), down 5.50% from the previous trading session. The TSE30 index of the 30 largest companies by market capitalization closed at 8,170 for a gain of 1.19%. The biggest riser was Mobin Petrochemical Co. (MOBN +4.80%) while MAPNA Group (MAPN -0.88%) dropped the most. Total traded value of the top 30 stocks reached IRR 1,703 billion (approx. 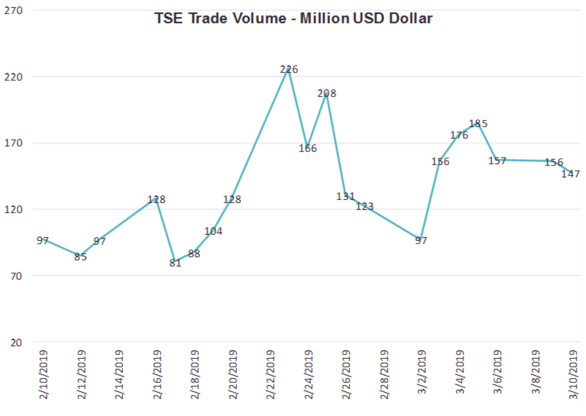 USD 40 million), up 53% from the previous trading session.